Late leader of the New Azerbaijan party who held office as the third President of Azerbaijan from 1993 to 2003, when his son Ilham Aliyev took over for him. 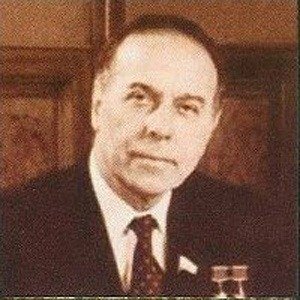 He was also the First Deputy Premier of the Soviet Union from 1982 to 1987. He reached the rank of Major General in the Soviet Union's KGB from 1941 to 1969. He successfully squashed an armed insurrection against him in 1995. He and his wife Zarifa Aliyeva had two children together, Sevil and Ilham. His son, Ilham Aliyev, succeeded him as President of Azerbaijan in 2003.